Aquaman is now the highest grossing global DC movie of all time. Director James Wan had the perfect reaction upon hearing that his movie was going to make DC history. If someone would have said that Jason Momoa and Wan were making the biggest global hit in DC’s cinematic history back in November, not many people would have believed it, including Momoa and Wan. However, upon its release in China, ahead of the North American release, Warner Bros. new that they had something special on their hands. As of this writing, Aquaman has earned $1.09 billion worldwide to become the biggest DC title ever, surpassing Christopher Nolan’s The Dark Knight Rises. Overseas, the movie has brought in $774.2 million alone and the movie has yet to be released in Japan, which means that it’s not finished making money. Nolan’s The Dark Knight Rises topped out at $1.085 billion. However, the DC movie is number seven when compared to other franchises as the biggest superhero movie of all time. 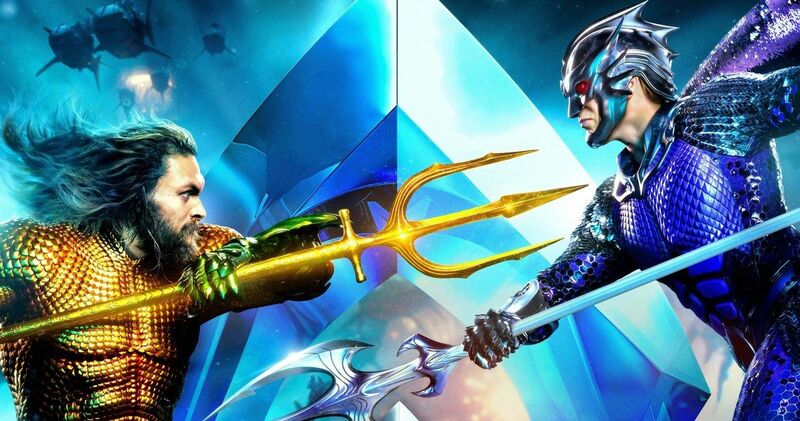 It was revealed before the weekend that Aquaman was going to make DC history, and director James Wan responded to a story announcing the news. The report started by talking about how Arthur Curry had been looked at as a joke in the past, noting that those days are over. The tide has changed and “Orange will truly be the new black Warner Bros.,” making reference to the Caped Crusader. Wan only had one thing to say: “Crazy.” It’s a pretty fitting reaction and one wonders what Jason Momoa’s reaction is going to be. The actor has yet to respond as of this writing, but he is more than likely pretty stoked. 2018 was a huge year for the superhero movie genre. Black Panther started everything off with a bang, and much like Aquaman, it shocked people with its success. The MCU project even pulled off Academy Award nominations. Infinity War and Deadpool 2 followed and racked up some crazy money at the box office, while Aquaman showed up at the end of the year to dominate for the superhero genre. The James Wan-directed movie is still killing it at the box office and is currently number three in North America this weekend, having earned over $7 million. With all of this excitement and success, Warner Bros. wants James Wan back to make Aquaman 2. The sequel is currently in development and it has been reported that Wan is taking a well-deserved break after pouring his soul into creating and bringing Arthur Curry’s expansive world to the big screen. With that being said, the director is waiting for the right script to move forward and he will undoubtedly receive a massive pay bump for making the biggest global DC movie in history. You can check out Aquaman‘s box office numbers at Box Office Mojo and check out James Wans’ response below.